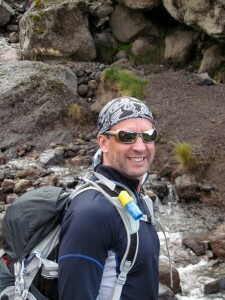 Shawn Dawson is leading the 2017 Dream Mountains Kilimanjaro climb, in support of CARE Canada. Ordinary people are capable of extraordinary things. The highest mountain is climbed by taking “One Step at a Time”. DREAM MOUNTAINS FOUNDATION is dedicated to helping people change their lives through education, opportunity, and compassion. Although I climb to support all of our seven charities, I chose to dedicate this climb on behalf of CARE Canada. Back in 2008 I first climbed Kilimanjaro for CARE Canada and now for the fourth and final time, its seems only fitting to do it once again. The vision of CARE is a world of hope, tolerance and social justice, where poverty has been overcome and all people live with dignity and security. Thanks to everyone for their support in my quest to lead the 2017 Kilimanjaro Dream Team climb. It’s an honour to be surrounded by a great team of people that are willing to take on this life changing adventure, all in the spirit of giving to those in need.